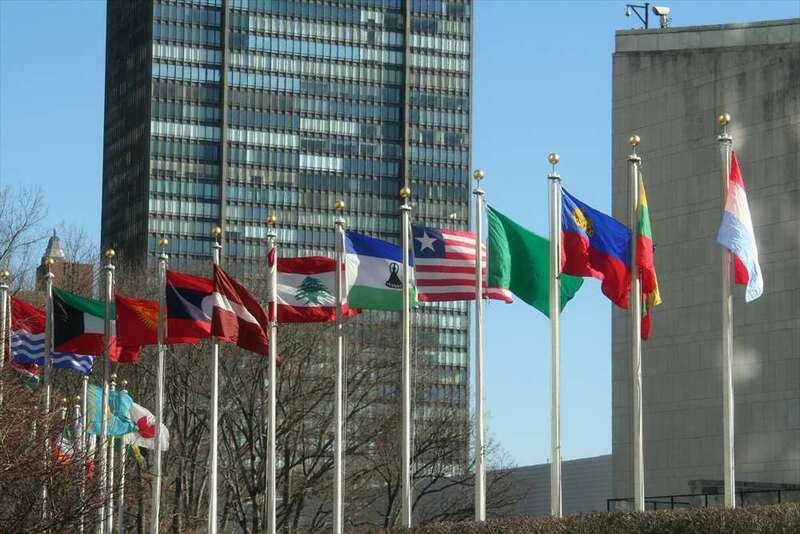 VIVAT International participated in the Commission on the Status of Women took place at the UN Headquarters New York CSW62 will take place at the UNHQ in New York from 12 – 23 March 2018. 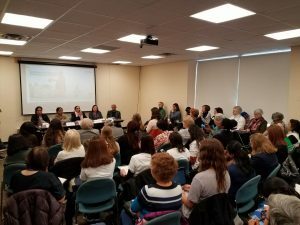 Besides the member states and UN agencies, over 3000 participants from different parts of the world attended CSW62. 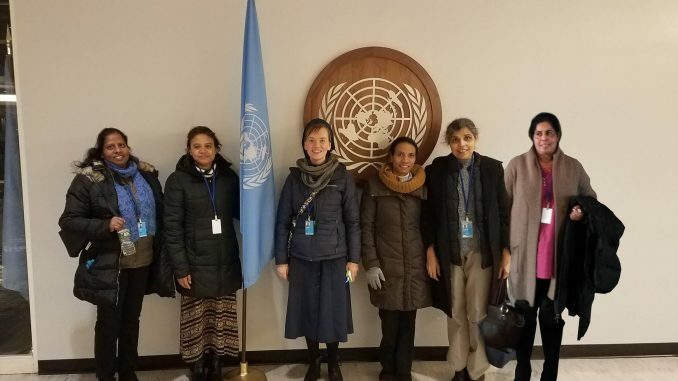 VIVAT as a member of NGO committee on the Status of Women (NGO-CSW) participated in studying the zero draft that was deliberated upon during the commission adopted as the Agreed Conclusions. As part of the advocacy VIVAT has submitted a Joint written Statement, organized cosponsored two side events and endorsed an oral statement. It is only in joining hands, we can make the leaders be accountable for the commitment they make for equality. Side event 1: “Women as Change-makers: Empowering Stories of Rural Women and Girls” highlighted the engagement of civil Society organizations with local communities and women’s groups to facilitate their participation in the 2030 Transformative agenda for rural women and girls to claim their agency and build synergy. One of the panelists was Sr. Julia George SSpS, Director, Streevani from Pune, India. 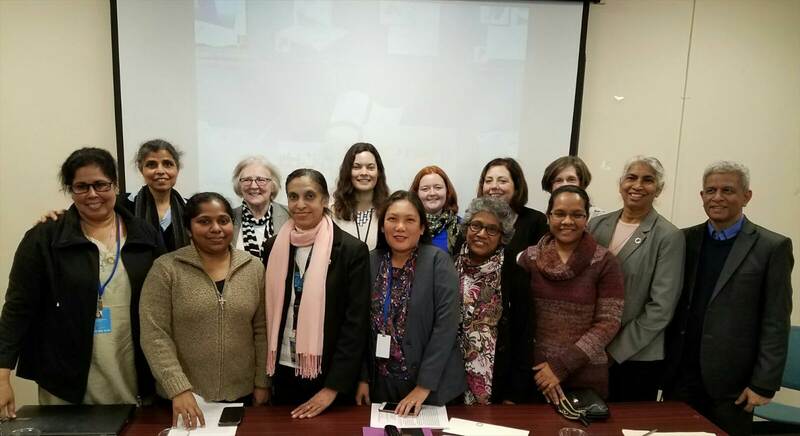 Her presentation dealt with the stories of women migrant domestic workers, rebuilding lives as urban poor in the context of socio-economic and legal challenges. 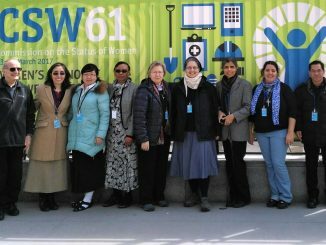 Through her decade long experience she highlighted the empowering journeys the domestic workers, who, though of the internally displaced and migrant women workers transform their lives in the urban settings. She reiterated this citing an example of a young domestic worker, whose mother flee from the rural area to escape domestic violence with her two daughters and had to live a life of homelessness, poverty, illiteracy and early marriage. Her husband also turned out to be the abuser as her father was. She worked hard in several homes to feed her children, amidst all odds; and has emerged as a sign of hope for women around her. This side event was sponsored by the Permanent Mission of Bangladesh and VIVAT was one of the cosponsors. 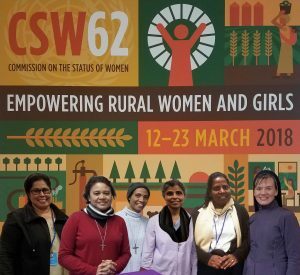 The event besides reflecting on the response of the Government of Bangladesh to address the impacts of climate change discussed the climate realities in the South Pacific and Sub-Saharan Africa; their impact on rural women and girls; how to address them at various stages of displacement. Finally, it will highlight opportunities for advocacy on the issue of climate-induced displacement, seek collaboration among different stakeholders and offer some recommendations toward durable solutions.